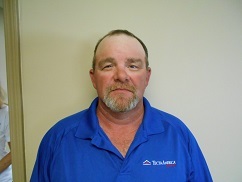 Tecta America Kentucky is your local premier commercial roofing contractor. Our management team has a combined total of 125 years of experience in the commercial roofing industry. Our field personnel is led by experienced foremen and superintendents, with nearly all of our employees receiving certified safety training by OSHA. We have a consistent track record that reflects our commitment to safety and quality. Safety is always a key concern at our facility, and we use best practices and processes to keep our employees and customers safe throughout the project and after. Our roofing capabilities range from minor repairs to very large re-roof installations. We install metal roofing as well as single ply membranes, built-up roofing, and two-ply modified systems. We are approved installers for every major commercial roofing system manufacturer and have the ability and the resources to complete a roofing project of any size. Our service department can provide roof inspections and maintenance programs for all of our customers. We also provide leak repairs and 24-hour emergency service. Pat has been in the industry since 1998 and joined us in 2008. He collaborates, and implements with the managers for overall vision and mission. 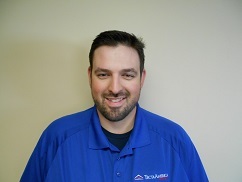 Greg has been in the industry since 2003 and joined us in 2003. 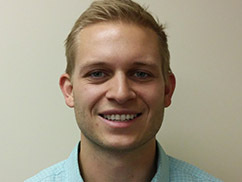 He currently runs project management ranging from pre-construction to job closeout. Jacob has been in the industry since 2000 and joined us in 2015. He is responsible for estimating and service consultation. 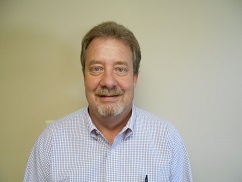 Tony has been in the industry since 1990 and joined us in 2005. He oversees all of the field operations. Joe has been in the industry since 2000 and joined us in 2015. He is responsible for estimating. Adam joined Tecta in 2010. 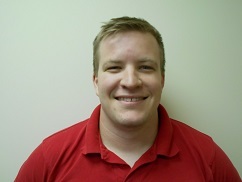 He is responsible for coordination of service department projects. 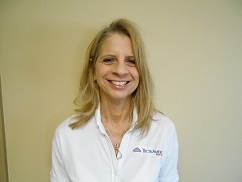 Susan has been in the industry since 1980 and joined us in 2014. Her responsibilities include AR, collections, and maintains accounts.